‘Round Midnight, (Touchstone Books, May 2, 2017) Laura McBride’s new novel, is the moving tale of four women connected by a casino in Las Vegas. The story begins in 1960 with June, who, together with her husband, runs the El Capitan, an off-Strip establishment that draws crowds to its Midnight Room nightclub with great entertainers. Fast forward to the 1990s, when Honorata, a mail-order bride from the Philippines, wins a huge jackpot at the El Capitan. Two other women, Coral and Engracia, also have ties to the casino that result in both heartbreak and joy. Although the novel is about the four women, I loved that the casino itself is an evolving character in the story, too. The El Capitan may be fictional, but it’s so authentically Las Vegas, I could almost smell it. Having lived in Las Vegas only since 2000, I have never enjoyed a vintage Vegas casino in its heyday. McBride, with detail only an observant local and meticulous researcher could supply, recreated the ambiance and energy that now lives only in grainy photographs and old timers’ memories. Along with the velvet upholstery, honey-voiced crooners, and low lights, of course, came the history of racial segregation that earned Las Vegas its reputation as the “Mississippi of the West.” McBride does not sugarcoat this facet of Las Vegas’s past, but weaves it into her story with sensitivity and authenticity. As the El Capitan evolves through the decades the novel encompasses, I recognized the Las Vegas I know from personal experience. This, too, McBride brings to life with evocative detail. By 2010, the nightclub has become a coffee shop. Photographs on the walls are all that’s left of its former glory, and even those wouldn’t be there if the same family did not still own the property. 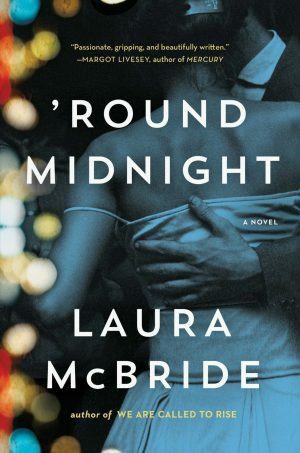 This is not only a perfect metaphor for the themes in McBride’s story, it captures the rapid evolution of Las Vegas from dusty Western town to bustling metropolis. While I have highlighted the role of the casino in this novel, the real story revolves around the four women whose lives interconnect in unexpected ways. They, too, represent the Las Vegas I have gotten to know over the last couple of decades. June is from New Jersey, Honorata is from the Philippines, Engracia is from Mexico, and Coral is a native born Las Vegan. I could be describing the street where I live or the people sitting near me if I have lunch in a neighborhood casino. In these diverse characters, McBride has captured not only the Las Vegas of today, but the history that created it. In this review, I have focused on the Vegas setting and elements in this story. Please note that for many readers, these will not be as important as they are to me. It would be possible, in fact, to read and enjoy this novel without paying much attention to where all the action takes place. It’s not on the Strip, after all, and it’s not in the Vegas of stereotype. It’s in a real American city where real people lead real lives. Few authors can capture both the uniqueness and the ordinariness of Las Vegas to craft an authentic picture. With perfectly chosen settings, scrupulous research, and a talent for wonderful description and storytelling, Laura McBride has done it brilliantly. 384 pages Hardcover, is also available as an Audiobook and as an E-book. Great review. Can’t wait to read the book!